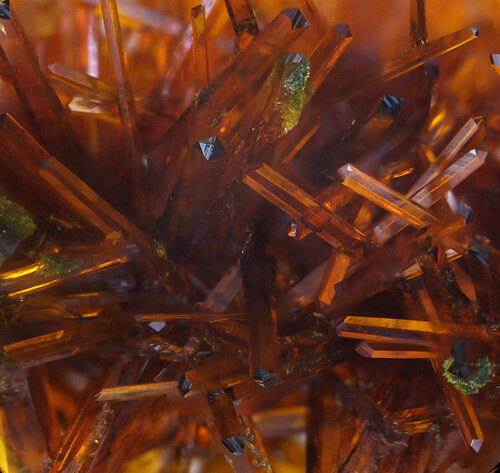 Red prussiate crystals grown by solution evaporation. They show needle like structures due to the presence of iron pollutants. A series of stacked microscope photos was used to create a sharper image.